It’s the holiday season, and that means that there’s a whole panoply of holidays and customs to navigate, and you need to be ready. The automotive world has a number of major holidays this time of year, and it makes sense to know what they are. 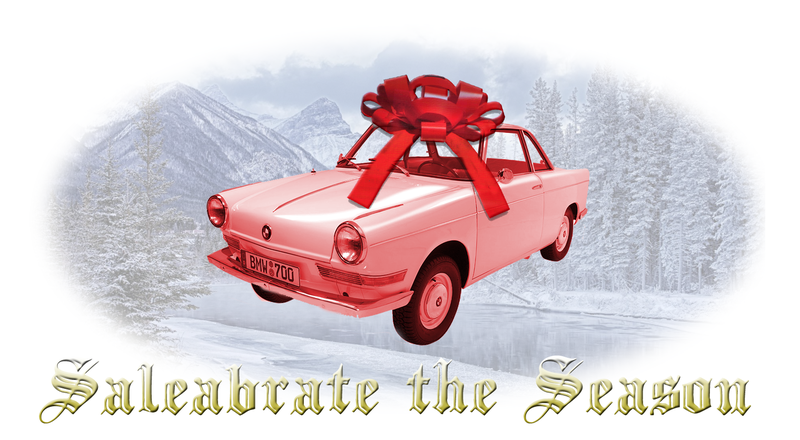 You don’t want to tell someone “Happy Honda Days” and find out they celebrate Toyotathon! Have Happy Honda Days Become Too Commercialized? Still one of the most popular of all the major car holidays, the followers of Happy Honda Days celebrate this time of year by awaiting the rebirth of their messiah, Sochiro Honda. They retell the story of the Great GM Smackdown, and bake cakes in the shape of CVCC engine’s pre-combustion chamber. For many years, Toyotathonians have had a very adversarial relationship with Happy Honda Days celebrants, but efforts are underway to promote better relations. One of the most popular of the automotive winter holidays, though the practice has become quite secularized in recent years. There’s a lot fewer Lexonians who celebrate December to Remember than their are, say Toyotathonians, but they tend to celebrate the holiday with real intensity. The use of oversized novelty bows is common, as is a ceremonial reading of the Consumer Reports annual owner satisfaction report. Suitable gift: A wad of pony meat, wrapped in a map of Tuscon or Santa Fe. Traditionally a very somber holiday, the use of the word ‘wonder’ here is closer to the idea of marveling at something in a state of shock. It’s a traditionally Swedish holiday where Volvo owners glumy admit to themselves winter has barely started. Suitable gift: Anything warm: sweaters, cauldrons of soup, a flaming ottoman, etc. The Mercedes-Benzites regard this as a very utilitarian, businesslike holiday. It’s winter, and this is an event. Any attempt to read more meaning or depth into the holiday is seen as highly offensive. Suitable gift: White tube socks, possibly a small ruler (metric only). A highly raucous, festive holiday, the Chevrolenians first started celebrating Red Tag as an attempt to bring more raw, unguarded spirituality into the automotive holiday space. Also, there’s a lot of drinking. Suitable gift: Any booze. Possibly a bag of ice, or the promise of oral copulation. I’m sure there’s some I’ve missed – we live in a gloriously diverse country, full of all manner of holiday automotive saleabrations. Whatever you and your loved ones practice, I hope you find the amazing deals you’re looking for before time runs out on the amazing savings. Happy Saleabrating to us all. Is The Lack Of A 2016 Baby Jesus Christmas Edition Silverado More Evidence Of A War On Christmas?